Healthy breakfast food is big business. Look no further than the cereal aisle at your local supermarket. How many of those cereals proclaim that they’re an essential part of a healthy breakfast? What’s really sad is that many of them are overloaded with sugar—about the furthest thing from a healthy breakfast that you could possibly eat! Especially if you’re trying to maintain a fat burning diet. We so often hear that breakfast is the most important meal of the day, and while that’s mostly marketing hype, you do want to make sure you’re eating truly healthy foods for breakfast each morning—unless you’re doing an intermittent fast. It begs the question: what exactly is a healthy breakfast anyway? First, let’s take a look at what you shouldn’t be eating. The key is not to start your day with carbohydrates. Some say you should have your carbs first thing in the morning and taper them down throughout the day. That’s actually the complete opposite of what you want to do because eating a lot of carbohydrates first thing in the morning will spike your blood sugar and make you feel groggy. Early morning carb consumption offsets your natural cortisol rhythm, which is supposed to be high in the morning. It slows you down and doesn’t give you the energy you need for the day ahead. In turn, this slowly offsets your circadian rhythm (your sleep cycle), which then upsets your hormones. It’s just a cascade of nasty things that are going to happen. You can have some carbs in the morning, but you need to be focusing on protein first thing in the morning at a minimum of 20 grams. Why is protein such an important part of a healthy breakfast? The research shows that when you have protein first thing in the morning—actually, at any point in the day—it keeps you full longer, which means you’re not as hungry, and you’re going to have fewer cravings. That’s exactly what you need if you want to maintain a fat burning diet. Now that doesn’t mean you should be having a steak first thing in the morning. There are plenty of healthy breakfast foods which are good protein sources. For example, you can have some almonds, which are a really good source of protein. You can throw a handful into a smoothie—that’s about 10 grams of protein right there. Eggs are a great source of protein as well. Each egg contains about 5 grams of protein. If you have three eggs, that’s about 15 grams. If you’re like me and you can only eat so many eggs over the course of a week before getting tired of eggs, what else can you do? The reliable option is a healthy breakfast smoothie made with protein powder. Mind you, you have to be very selective about what kind of protein powder you use, as many of them on the market aren’t very good at all. You can also combine it with my Energy Greens powder as well. It contains about 2 grams of protein per serving—which is not a lot—thanks to its chlorella and spirulina content. However, what it will do is alkalize your body to energize it. Here’s what I do for breakfast each morning. 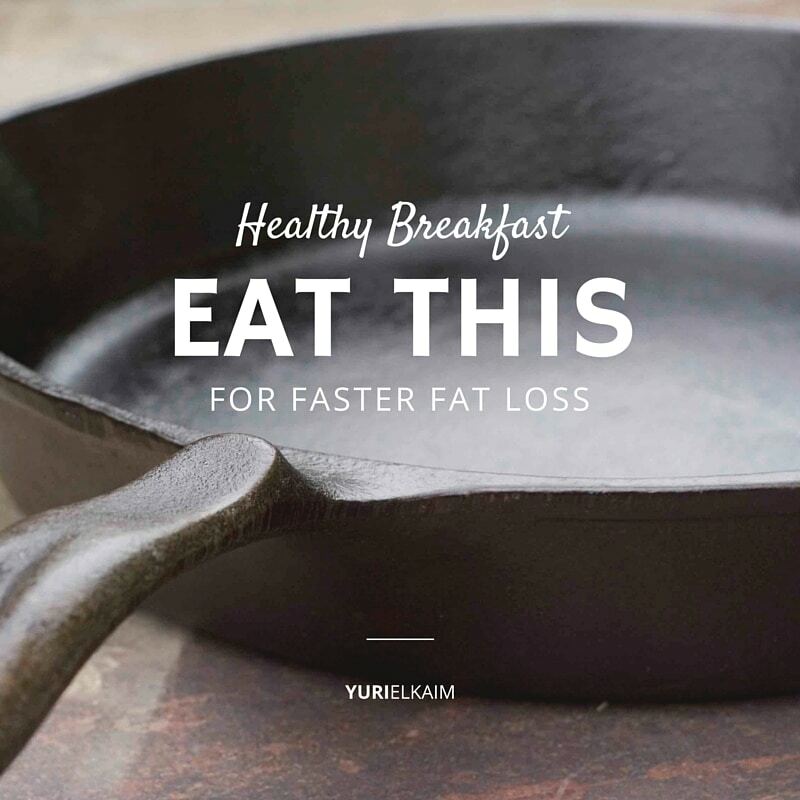 I think it will give you some healthy breakfast ideas. I kick off my healthy breakfast each morning with a glass of water with some apple cider vinegar and lemon in it. This gives me a good kick-start to my day, helps flush some of the toxins out of my liver and gallbladder, and gets my digestive system going. Next, I’ll have another glass of water with my greens. This means that by now I’ve had about a half-liter or so of water. Most mornings, I follow this up with a smoothie. In it, I might have some almonds, some almond milk, some protein powder, and some hempseeds. Just like that, I’ve already had easily 25 to 35 grams of protein! Sometimes, I’ll have eggs instead of a smoothie. Sometimes, I’ll have both! Here’s the key with protein: You need to rotate your sources of protein to prevent your body from developing sensitivities to them. You don’t want to have eggs seven days a week, nor do you want to have the same protein powder seven days a week. You want to rotate through these foods so you don’t wear down your enzyme pathways that are necessary to break this stuff down. I hope this encourages you to make some changes to your breakfast routine. A healthy breakfast is not what most people think it is, but with a few changes you can get yours on track. A healthy breakfast should be largely protein with some fiber (veggies) and healthy fats and a small amount of complex carbohydrates. Smoothies and many other breakfast options mentioned above fit that bill. What’s a healthy breakfast before working out? I actually think you should workout on an empty stomach if you can because enhance your body’s ability to burn fat. However, if you must have something before you workout, then have a low-carb protein shake at least one hour before your workout. What to eat for a healthy breakfast on the go? If you’re on the go, you can make a protein shake and take it with you. You can also make some hard boiled eggs and pack them along with some nuts and veggies to snack on. You can enjoy our delicious All-Day Energy bars which are packed with tons of protein and fiber to keep you going for hours. What is a good healthy breakfast bar? The only one I would recommend is our All-Day Energy Bars. There’s a reason we developed them — everything else is loaded with crap and many of them are glorified candy bars. What is a good healthy breakfast for a diabetic? Any of the above mentioned ideas will be good for diabetics as well. What is a good healthy breakfast cereal? Hmmm…not many good ones out there. Here’s why. Your best bet is to make your own cereal from scratch using a combination of chopped nuts and seeds along with some fresh berries and almond milk. See my Fiber Starter Cereal Bowl above.